West Indies batting star Chris Gayle. JAIPUR, India, CMC – West Indies superstar Chris Gayle belted a Man-of-the-Match half-century to help fire Kings XI Punjab to a 14-run win over Jofra Archer’s Rajasthan Royals in the Indian Premier League here yesterday. In reply, England opener Jos Buttler smashed 69 off 43 balls but Royals came up short after a lower order slump. They were 148 for two in the 17th over but lost seven wickets for 16 runs in the space of 16 deliveries, to lose their way dramatically. 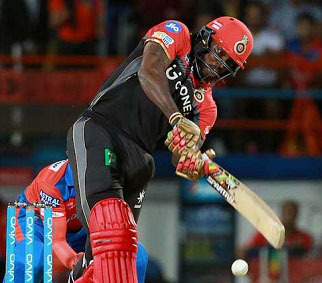 However, it was Gayle who took the headlines earlier after Kings XI had been sent in, lashing eight fours and four sixes. Lokesh Rahul perished cheaply for four off the fourth ball of the match with as many runs on the board but Gayle anchored two half-century partnerships to energise the innings. 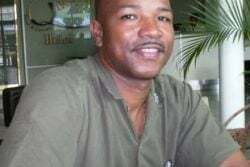 First, the 39-year-old put on 56 for the second wicket with Mayank Agarwal who made 22, before adding a further 84 for the third wicket with Sarfaraz Khan who struck an unbeaten 46 off 29 balls. Gayle appeared set for a 22nd T20 hundred when he fell in the 16th over, holing out to mid-wicket off England seamer Ben Stokes (2-48). Left-hander Nicholas Pooran, on IPL debut, struck 12 off 14 balls before also falling to Stokes off the first ball of the final over. 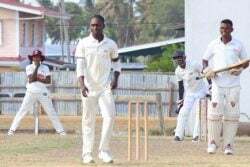 Fast bowler Archer was brilliant even though he went wicket-less, conceding just 17 runs from his four overs. Buttler and Ajinkya Rahane (27) then put Royals on course for an easy victory, putting on 78 for the first wicket. All told, Buttler counted 10 fours and two sixes, posting a 30-run second wicket stand with Sanju Sampson (30) before perishing in the 13th over. Samson and Australian Steve Smith (20) put on a further 40 for the third wicket before things fell apart.